We made a trip earlier this year to Spain. 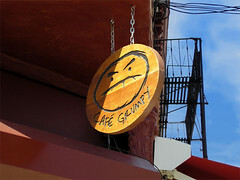 And while Spain isn’t exactly famous for coffee, I tried to visit as many coffee shops as I could. Coffee in Spain means one thing: espresso. A straight shot is known simply as “café solo.” If you want them to add a little milk, you should ask for a “cortado.” However, even with the addition of milk, almost everything that I tried was extremely bitter and overextracted. Maybe it's because coffee in Spain is roasted dark traditionally, even darker than a French roast. Another method of roasting is "torrefación." In torrefación, sugar is added during the roast cycle, which caramelizes and coats the beans with a shiny glaze. Originally, the sugar was added in order to lengthen the shelf life of the coffee. 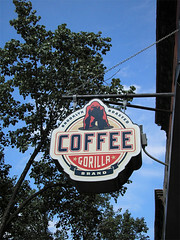 Coffee drinkers became accustomed to the smoky flavor and now, it is done for the taste. 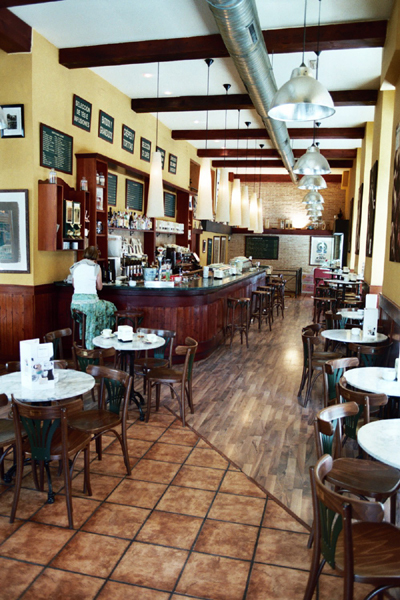 In Valladolid, we visited "Plantaciones del Origen," a coffee shop in the old city center. A contemporary shop, they specialize in single-origin coffees, and will make a shot from from any of the coffees that they have available. They also sell teas that they prepare in press pots. Not willing to risk another espresso, I requested that my coffee be prepared in a press pot, to no avail. Faced with only one option, I took the risk and was rewarded with a decent cup. It wasn't great, but it was passable. 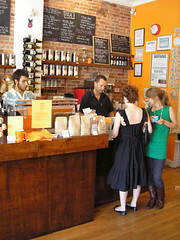 At least the shop was nice, with rustic wood floors, brick walls and a beautiful mahogany bar. 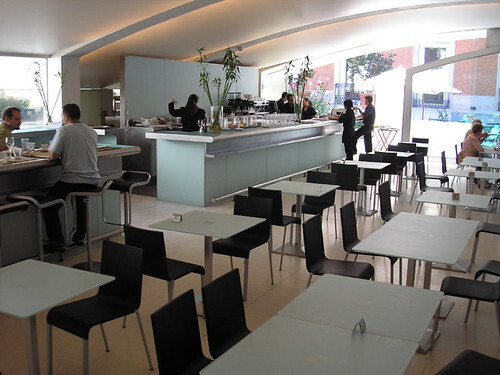 Another coffee shop we visited was in the Thyssen-Bornemisza Museum in Madrid. All stainless steel and frosted glass, it's a stunning space. The ceiling is made of a backlit fabric and combined with the natural light from the large windows, the resulting ambience is very pleasant.